The Brian’s Scholars Foundation, which honors former Blessed Sacrament Parish School principal Dr. Brian Bennett, allows students in financial need to receive a Catholic values-centered education. The endowed scholarship program was established in 2007 with a generous $1.5 million gift from the Blickenstaff family. An extensive outreach program is underway to raise funds totaling $3 million to support the endowment fund, which is privately managed by the Bessemer Trust Company. 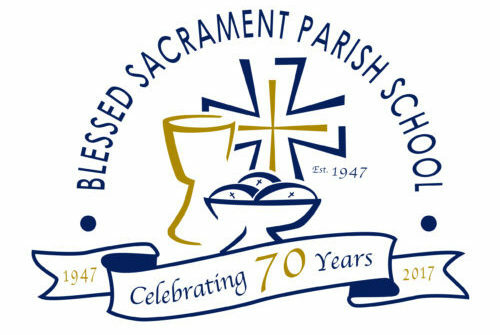 The fund benefits students attending Blessed Sacrament Parish School. While students from Catholic families registered and supporting Blessed Sacrament Church are the first priority recipients, any family, regardless of religious affiliation, is invited to apply. A renowned education advocate, Mr. Bennett dedicated nearly 40 years as a teacher, principal, consultant and administrator to providing better schooling in low-income neighborhoods. He served as Blessed Sacrament Parish School’s principal from 1979 to 1997, reinvgorating the school and boosting enrollment. A leading proponent of school choice, he helped establish more than a dozen charter schools throughout the country. Mr Bennett was Director of the Office of School Choice for the San Diego Unified School District from 2003 to 2006, then joined the National Association of Charter School Authorizers. Born in 1949, Dr. Bennett attended Catholic schools all his life. He earned a bachelor of arts degree in English and a law degree from what is now Loyola Marymount University in Los Angeles. In 2006, he was diagnosed with amyotrophic lateral sclerosis, more commonly known as Lou Gehrig’s disease or ALS. He succumbed to the disease in 2007. His wife, Jeanine, continues to teach history at BSPS.